How long been in tri: 3 years with hopefully lots more to come! 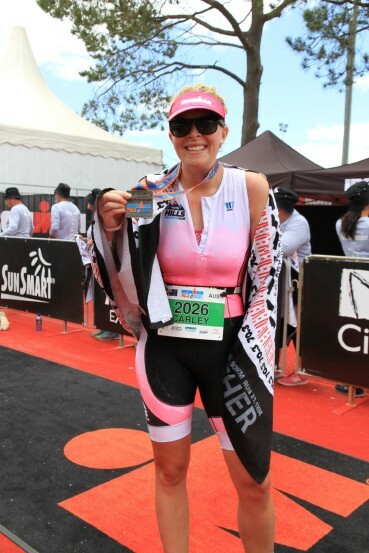 How did you get into tri: I had done a few fun runs and was reading an email about the Sunsmart Womens Tri. I thought, ‘what a cool event and look everyone gets a medal – I want one (ha ha) I’ll give it a go. I entered the short distance tri with very limited swimming and biking I had an absolute blast. I got the medal and haven’t looked back. How many bikes do you have: 2 bikes, a lovely road bike and my favourite bike Shirley the Shiv time trail bike. What do you want to achieve this season: To have fun and enjoy the events and training with a great club and friends. Oh and to build to hopefully ironman distance next year and to get around 5.45 for a 70.3 ironman.